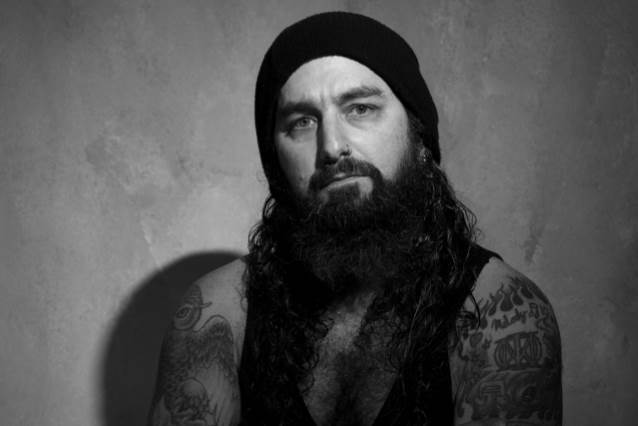 In a recent interview with Über Röck TV, Mike Portnoy (DREAM THEATER, THE WINERY DOGS, SONS OF APOLLO) was asked what it feels like to be considered to be the one of the best rock drummers in the world by so many people. "I prefer the word 'favorite,'" he responded (see video below). "I don't think there's such a thing as a 'best' drummer. "Anytime I see these polls or whatever, it's flattering to be winning them and everything, but music isn't a sport or competition," he continued. "So I prefer the word 'favorite.' It's nice when somebody says that you're their 'favorite' drummer. Okay, that's okay, 'cause it's subjective. In any case, it's flattering. I don't think I'm the 'best' — I know I'm not the best — but it's nice to be a favorite." Pressed to name his favorite drummer, Mike said: "I don't have one; I have several. I mean, some of my heroes are John Bonham, Keith Moon, Neil Peart, Ringo Starr, Terry Bozzio, Bill Bruford… The list goes on and on and on." Mike is currently touring Europe with SONS OF APOLLO in which he is joined by former DREAM THEATER keyboardist Derek Sherinian, as well as guitarist Ron "Bumblefoot" Thal (ex-GUNS N' ROSES), bassist Billy Sheehan (MR. BIG, THE WINERY DOGS) and vocalist Jeff Scott Soto (W.E.T., TALISMAN). SONS OF APOLLO's debut album, "Psychotic Symphony", was released last October by InsideOut Music.